Melanie started her estate agency career as a property manager in 2015 quickly progressing to assistant head of property management with an independent estate agency specializing in Student lettings. 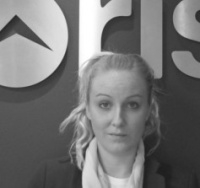 Melanie joined Rise in 2017 as a sales and lettings negotiator to further broaden her experience within the industry. Since joining Rise Melanie has become an integral part of the team and has broken numerous records, including letting 27 properties in her first month!